Sprint shares rich, real-life examples with startups and company’s looking to test ideas and shares their success. 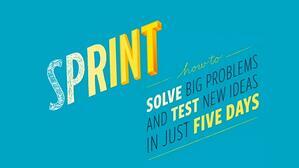 Sprint is Google Venture’s unique five-day process for answering crucial questions through prototyping and testing ideas with customers. It’s a “greatest hits” of business strategy, innovation, behavioral science, design, and more—packaged into a step-by-step process that any team can use. I’ll share 3 ideas from the book your team can put into action to save time and generate better outcomes. Here’s the first tip. Brainstorms don’t work. I’ll share more on research to back it up, but first the example. Before getting to the example, here’s why Sprint is credible. Designer Jake Knapp created the five-day process at Google, where sprints were used on everything from Google Search to Google X. He joined Braden Kowitz and John Zeratsky at Google Ventures, and together completed more than a hundred sprints with companies in mobile, e-commerce, healthcare, finance, and more. Savioke (pronounced “Savvy Oak”) is a team of world-class engineers and designers in Silicon Valley. They share a vision to bring robot helpers into humans’ everyday lives—in restaurants, hospitals, elder care facilities, etc. Savioke decided to start with hotels. A relatively simple and unchanging environment with a persistent problem: “rush hour” peaks in the morning and evening when check-ins, check-outs, and room delivery requests flooded the front desk. It was the perfect opportunity for a robot to help. Having negotiated the pilot with Starwood, they still had big questions to answer. Mission-critical, make-or-break type questions, and only a few weeks to figure out the answers before the hotel pilot began. It was the perfect time for a sprint. 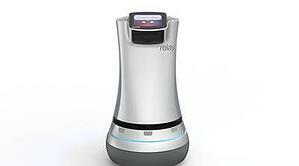 Built from off the shelf parts in Savioke’s office building, the team engineered a robot for hotel delivery service. It could navigate autonomously, ride the elevator by itself, and carry items such as toothbrushes, towels, and snacks to guest rooms. “Relay,” as the robot is called, is a three-and-a-half-foot-tall cylinder, roughly the size and shape of a kitchen trash can. There is a small computer display affixed to the top, almost like a face. It glides across the floor under its own power. Steve Cousins, Savioke’s founder and CEO, feels there is one problem. Guests might not like a delivery robot. Would it unnerve or even frighten them? How would “Relay” behave around people? The Risk: Cousins feared it could feel creepy to have a machine delivering towels. How should the robot communicate with guests? How much personality was too much? In Sprint you’ll learn how the Savioke team in just 5 days, mapped out a plan, sketched several designs, decided which idea would answer the one big concern: “How should their robot behave around humans?” Built a protype and tested it. First, the team cleared a full week on their calendars. From Monday to Friday, they canceled all meetings, set the “out of office” responders on their email, and completely focused on that one question. Why? Because of the importance of guest satisfaction, which hotels measure and track religiously. If the Relay robot boosted satisfaction numbers during the pilot program, hotels would order more robots. But if that number stayed flat, or fell, and the orders didn’t come in, their fledgling business would be in a precarious position. Sprint requires you manufacture a deadline. Savioke made arrangements with the hotel to run a live test on the Friday of their sprint week. Don’t be surprised if you see this scene yourself in the near future. Brainstorm vs “work alone together”; In a Yale 1958 study. Individuals competed with brainstorming groups to solve the same problem. The individuals dominated. They generated more solutions, and their solutions were independently judged to be higher quality and more original. Working alone offers time to do research, find inspiration, and think about the problem. And the pressure of responsibility with working alone often spurs us to our best work. Working alone isn’t easy. The individual has to not only solve the problem, but also invent a strategy for solving the problem. In sprints, you work alone, but follow specific steps to help everyone focus and make progress. When the whole team works in parallel, they’ll generate competing ideas, without the groupthink of a group brainstorm. You might call this method “work alone together.” Why then, over half a century later, do teams still run group brainstorms? Sprint suggests, it’s because “brainstorm” is such a catchy name. Deadlines: Looming deadlines force you to focus. You couldn’t afford to overthink details or get caught up in other, less important work. The five-day Sprint shortens focus. 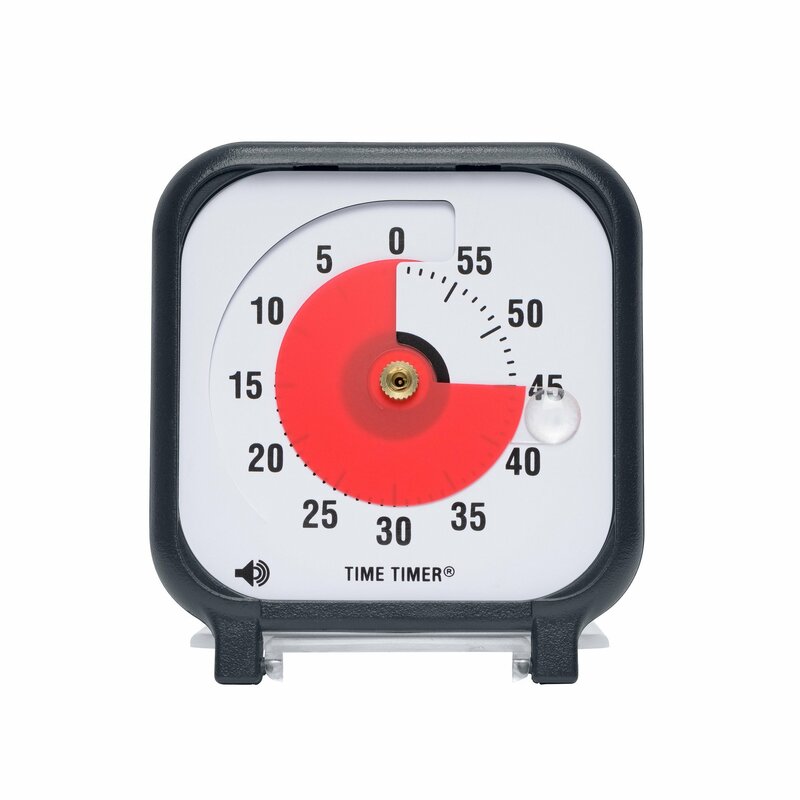 Sprint uses Time Timers to mark small chunks of time, anywhere from three minutes to one hour. These tiny deadlines give everyone an added sense of focus and urgency. 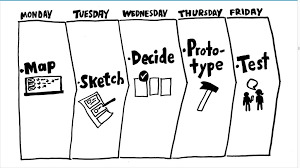 The Power of Sketching: You’ve got a great idea. You’ve been thinking about it for weeks. You go to work, describe the idea to your teammates, and . . . they just stare at you. Maybe you aren’t explaining it well. Maybe the timing isn’t right. For whatever reason, they just can’t picture it. Totally frustrating, right? It’s about to get worse. Now imagine your boss suggests an alternative idea. It just popped into his head, and you can tell right away that the idea isn’t thought out and won’t work. But all your teammates nod their heads! Maybe it’s because the boss’s idea is vague and each person is interpreting it in his or her own way. Maybe everyone is just supporting him because he’s the boss. It’s the sort of thing that happens when people make decisions about abstract ideas. Because abstract ideas lack concrete detail, it’s easy for them to be undervalued (like your idea) or overvalued (like the boss’s idea). When Alan Mulally became Ford Motor Company's CEO in 2006, many of Ford's Board of Directors were disappointed he didn’t eliminate many of Ford’s executives. Instead Mulally told the board they’d self-select. 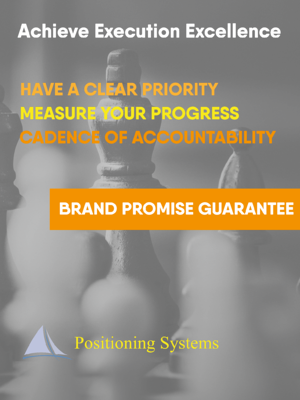 Mulally used a ScaleUp tool, we call Meeting Rhythms, a Cadence of Accountability to make poor Ford executive performers “free up their Future” on their own. That story from American Icon: Alan Mulally and the Fight to Save Ford Motor next blog.